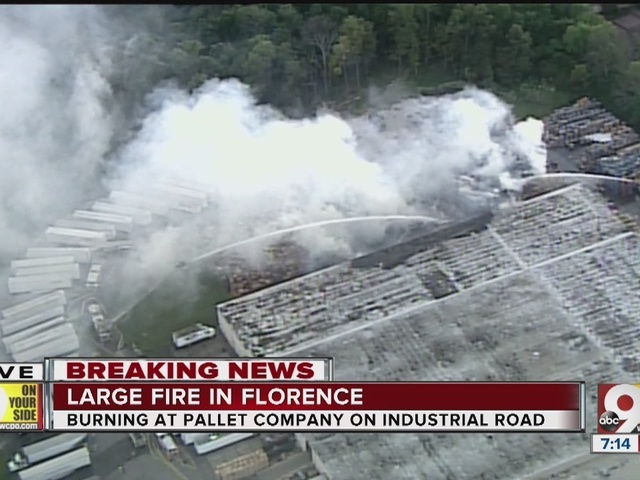 FLORENCE, Ky. — Fire and emergency crews were dispatched to a raging fire on Industrial Road in Florence early Tuesday evening. 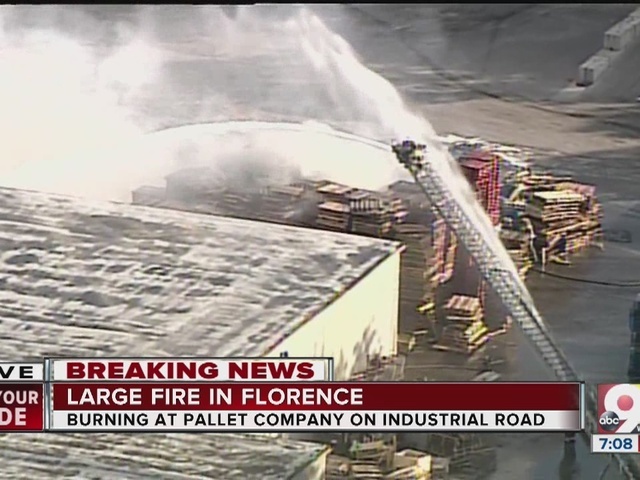 According to Boone County dispatch, firefighters responded to the three-alarm blaze at A-One Pallet Distributing Inc. shortly after 6 p.m. Flames were seen reaching higher than nearby buildings. Witnesses reported seeing smoke from miles away. Viewer Roy Corman Jr. sent in this alternate view of the fire to WCPO. 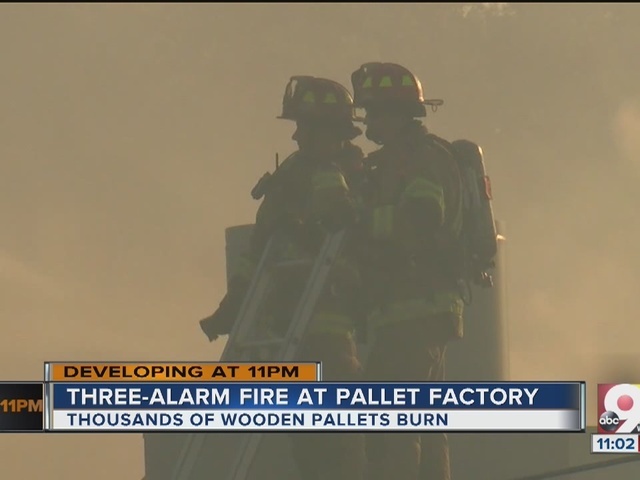 According to responders on the scene, the blaze began on a pile of more than 1,000 pallets before moving into the building nearby. It was not immediately clear what caused the fire. Fire authorities reported no injuries in the fire. No other information was immediately available. WCPO will continue to update this breaking, developing story. 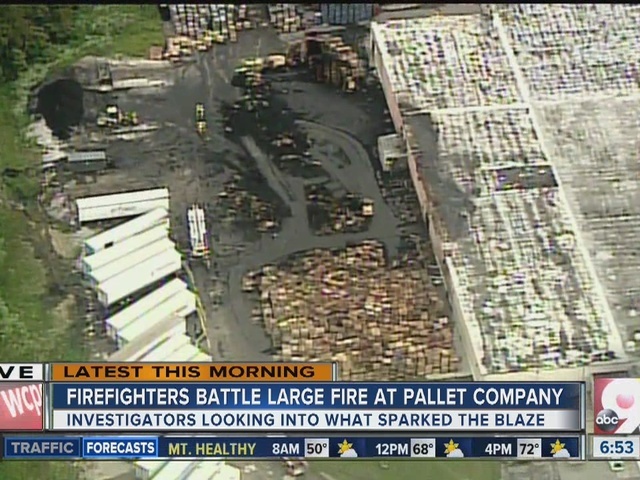 WCPO's Chopper 9 reporter Dan Carroll contributed to this report.